Dr Rachel Paterson is an ecological parasitologist, who combines interests in parasitology, freshwater ecology and invasive species to investigate how the environment shapes interactions between parasites and their hosts. 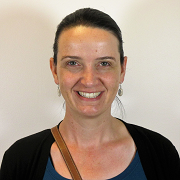 Dr Paterson is currently a Ser Cymru II - Marie Sklodowska-Curie Actions COFUND research fellow based in the Cardiff Research in Infection and Parasites in Ecological Systems (CRIPES) research group at Cardiff University. Here, Dr Paterson leads the MULTISTRESS project, assessing the combined effects of climate change and anthropogenic stress on fish-parasite dynamics.